The 10 Best Garden Centers and Nurseries in Wisconsin! Gardening is a hit in Wisconsin, especially when things start to warm up. 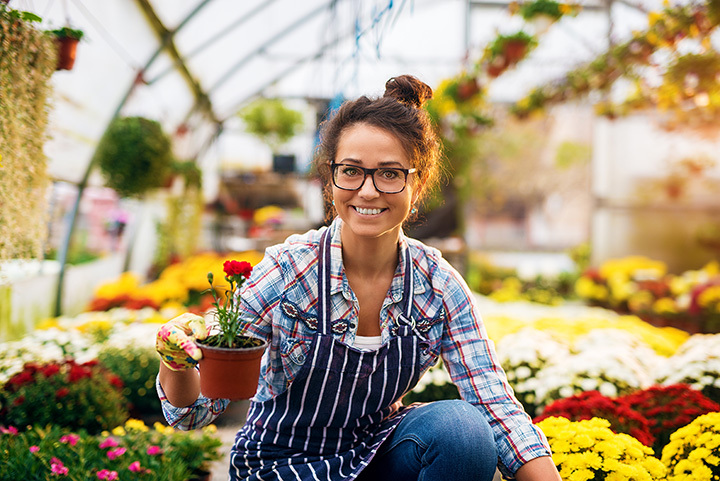 Tons of homeowners, business owners, and plant lovers head to their local green houses and garden shops for all of their gardening and floral needs. From perennials to annuals and everything in between—head to our favorite garden shops of Wisconsin. Felly’s Flowers was voted “Best of Madison.” They have been serving the Dan County and surrounding areas for over 61 years. With their 35,000-square-foot garden center there are tons of inventory to choose from. Get beautiful floral arrangements with a great selection and quick delivery. Every spring, America’s Best greenhouses are blooming with color. Their growing facilities over the years have attracted tons of flower and plant lovers from across the state. Whether you’re buying a single flower or buying an entire set of shrubbery to line the house—America’s Best has it all. Located on the east side of Milwaukee, Kellner Greenhouse carries tons of inventory. Enjoy browsing through their organic vegetable, organic herbs, flowers, baskets, annuals and so much more. For over 100 years Kellner has been allowing the Milwaukee and surrounding areas to bloom. The Minors Garden Center story starts over 80 years ago in 1932. Their business started as a mere nursey selling plants and shrubs. After time, his business grew to the, now, 120 acres is several different locations. Let “all your ‘greens’ come true at Minors Garden Center. The seeds have been planted at Piala’s and Spring is coming. Inventory ranges from trees, shrubs, evergreens and unique garden gifts. They also offer great insight on landscape design and maintenance. Don’t forget to stock up on all of your garden supplies while you’re at it. Stein’s Garden and Home is a Wisconsin based chain located in 16 different locations. Shop their cute garden and gifts selection. Their beautiful flower section is finally blooming and they are ready to serve your garden needs. Find that green thumb of yours at Stein’s Garden and Home. Klein’s prides itself on having one of the largest selections of annuals, perennials, herbs, vegetables, and shrubs on site. They host fun workshops for the public to come in and make trendy terrariums and host events for you to channel your inner gardening goddess. All your gardening questions can be answered by the knowledgeable sales representatives at Klein’s. Edgerton Floral arrangements for all holidays and occasions. From prom to a “just because” gift their floral and garden center will be sure to go above and beyond your expectations. Check out their garden center in the spring for the best selection. If you’re looking to spruce up your garden or front lawn the knowledgeable garden gurus at The Bruce Company will be sure to give you helpful tips and tricks. Purchase more than flowers and shrubbery at the Middleton Bruce Company location. Jung Garden Center has five Wisconsin locations. They have a wide selection of trees, shrubs, vines, roses, bulbs, perennials, annuals, and herbs. Check out their large fruit and vegetable section along with their garden supplies.